Pernille Ripp is an expert in literacy and technology integration and dedicates her research and practice to developing engaged and empowered students and communities. She is a teacher, speaker, author, blogger, and passionate advocate for education. She is a Skype Master Teacher; recipient of the 2015 WEMTA Making IT Happen Award; and the 2015 ISTE Award for Innovation in Global Collaboration. In 2010, Pernille founded The Global Read Aloud, a global literacy initiative that began with a simple goal in mind: one book to connect the world. From its humble beginnings, the GRA has grown to connect more than 4,000,000 students in more than 80 different countries. She is the author of Passionate Readers -The Art of Reaching and Engaging Every Child and Passionate Learners – How to Engage and Empower Your Students, now in its second edition, and Empowered Schools, Empowered Students, both focusing on creating learning spaces and communities where students thrive and all stakeholders are empowered and passionate about learning. She has also authored Reimagining Literacy Through Global Collaboration published in 2016 by Solution Tree. Her work has also been featured in many print and online journals including Edutopia, School Library Journal, The Guardian, and MiddleWeb. You can follow Pernille’s work on Blogging Through The Fourth Dimension, her personal blog and a frequent Teach100 top-rated education blog. With her mentoring, her own students’ blogs have had more than 600,000 unique views since they began. 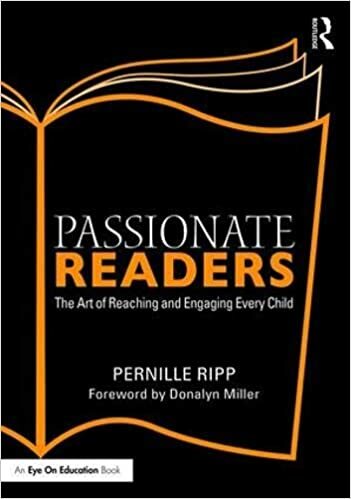 Pernille’s current research interest is in creating passionate literacy environments within the restriction of our current educational systems to helping students fall in love with literacy again. She uses her own classroom as a laboratory, as well as learns from the many educators she works with across the world. Since I was a child growing up in Bjerringbro, Denmark, I knew I wanted to work with children and somehow help them become the person they envisioned. In January of 2008 I took my first step in making a difference by becoming a math resource teacher and then transitioned into the classroom as a full-time general educator teaching 4th and 5th grade. Now I have found my home as 7th grade English teacher in the phenomenal Oregon school district here in Wisconsin. There is nowhere else I would rather be every day than in the classroom. I created the Global Read Aloud; a global reading project that has connected more than 4,000,000 students on 6 continents since its inception in September 2010. The Global Read Aloud continues to be a passion of mine and the project has been nominated for many awards as well as highlighted in the US Dept. of Education’s National Education Technology Plan for 2016. But more importantly, teachers around the world have put their heart and soul into the projects and it is this passion for it that drives it forward every year. Who knows where it will go? We implement various technology in our classroom exploration such as Skype, Google Apps, and Twitter, but more importantly we function in a no punishment, limited homework, limited grades classroom focused on hands-on learning. My journey would not be as phenomenal if it wasn’t for the incredible students I get to teach every day. I have been blogging since June 2010 when I decided I needed to reflect more on my own teaching journey. I never imagined others would be interested in that journey or that this blog would lead to so many incredible opportunities. My own blogging journey inspired me to have my students blog as well, here are their incredible student blogs. My blog is visited by educators from all over the world and I am proud of the international debate it has created on topics such as failure in the learning environment, what the role of a teacher is, how to create passionate learning environments, how to ignite student passion in literacy, as well as how to create a successful student blogging classroom. 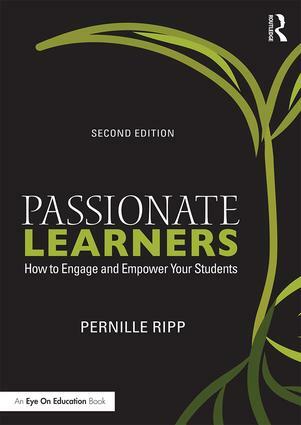 In 2014, a dream came true when my first book Passionate Learners – How to Engage and Empower Your Students came out. It has since been updated and published in a 2nd edition format by Routledge based on my experience as an elementary and middle school teacher. My second book Empowered Schools, Empowered Students – Creating Connected and Invested Learners was published by Corwin as part of their Connected Educator series also in 2014. I have also authored Reimagining Literacy Through Global Collaboration published in 2016 by Solution Tree, and the forthcoming Passionate Readers -The Art of Reaching and Engaging Every Child, coming summer 2017 from Routledge. To get a sneak peek into our classroom and the work we do, watch this video. What you’re doing is amazing. If you have a moment, please have a look at our website http://www.ourboox.com which allows students and teachers to create and share their own digital picture books. It’s completely free of course. Please help us encourage “reverse literacy” – children who write picture books, as well as read them!! I don’t have a post, however, all of these things I wrote about in my book Passionate Learners, which comes out September 22nd. How do you get by with limited grades? Our districts here require 3 recorded grades weekly, minimum. Do you do fewer? I do, we are a personalized learning district any way so it wouldn’t make sense to ask people to do three grades a week. Instead we do a lot of goal setting and students report on their goals. We also do SBG and so that helps too because a lot of their work is formative rather than summative. Your blog “pernillesripp.com” is by far the most interesting I have come across in the recent past, hands down! Hello Pernille. My name is Andra Clarke, I’m an early childhood educator and once a month I’m involved with a non-profit organization that works with children with Down Syndrome. I recently found your website as I’ve been looking for a good questionnaire parents can use to give to teachers about their child. May I use your parent beginning of the year survey? I would probably give it to about 30-40 parents this year and about 20 parents each year there after. I have modified it a tiny bit. I just wanted to get permission first before I pass it out to parents. Thank you for your time and all the good work you appear to be doing!!! Thank you so much Pernille!